"Taking the best and making it better"
Now available with a faster "R" Orange Oil rubber compound. For racers and car enthusiasts with highly tuned cars. They use their car on the street and the race track and want one tyre to do both duties. Capable of astonishing lap times. 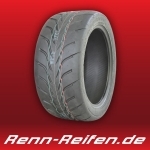 It's the tyre used by World Time Attack Challenge Clubsprint competitors. Street tyres work well when cold. Conventional rubber compounds reach their limit during high speed driving as heat softening quickly saps the tyres ability to grip the road. Using street tyres on the track can lead to slower lap times and rapid tread wear. Race tyres, on the other hand, work well when hot. 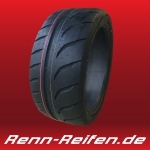 R-spec race tyres and slicks generate heat which helps them grip the race track. They work best above 60 degrees Celsius. 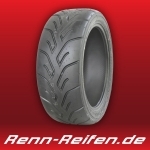 Race tyres work best in the first heat cycles, then performance begins to drop off. Using race tyres on the street is uneconomical as it can waste heat cycles and reduce tyre performance. Heat control is one of the key features of the Racetyre. It deals with heat effectively and copes with hard driving with minimal wear. It really is the ultimate high performance road tyre. The downside with the original ADVAN Neova AD08 was that it tended to squeal a bit with track work. The new ADVAN Neova AD08R Racetyre is more progressive with less squeal. It feels more like an R-compound tyre. The Neova AD08R tread design is the same as the AD08. Sequential Round Grooves dissipate and spread forces over large unbroken tread sections. Uni-block shoulders are continuous for rigidity, powerful grip and lower lap times. The new "R" tyre compound provides more initial grip, improved handling and improved lap times making an already great tyre even better. The rubber compound has more carbon, for dry grip; more silica, for wet grip and Yokohama's innovative Orange Oil tyre technology proven in the tyres used in the World Touring Car Championship. 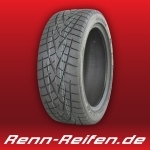 The ADVAN Neova AD08R is the tyre used at the Yokohama World Time Attack Challenge in Clubsprint Class. Even with tighter 2013 rules the AD08Rs were capable of a 1:39.247 lap time at Sydney Motorsport Park in the Process West Subaru WRX Sti of Jason Wright and Autotech. Set ADVAN Neovas up like race tyres so that your hot pressures, when you come off the track are between 32 and 36 psi. For an explanation on how to set hot tyre pressures read our blog. On the street use the manufacturer's tyre placard pressure recommendations.